Pretty good wahoo fishing today until the weather turned ugly. We landed 4 out of 10 or so bites before the wind rain lightning and water spouts chased us back to the dock. Caught a little blackfin in the middle of the wahoo action as well. September is coming and we have alot of open days still. 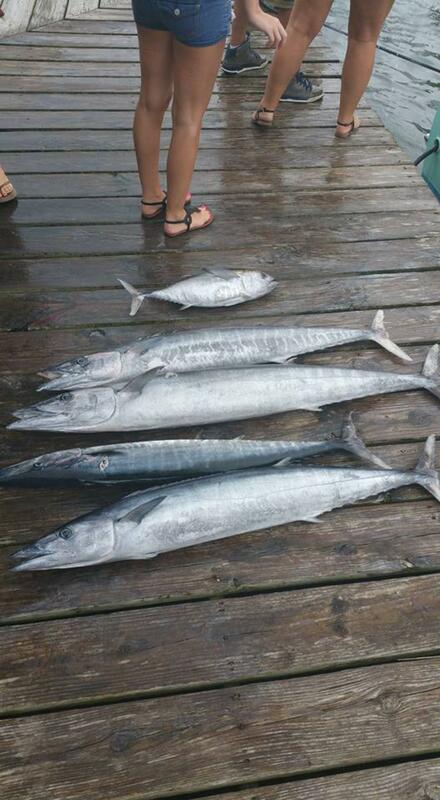 Wahoo fishing should be great so give us a call. We can put together make up groups if you don't have enough to fill the boat. $200 a person.